Flourish, the new book by Martin Seligman (full title: “Flourish – A Visionary New Understanding of Happiness and Well-being“) starts with a big committment: “This book will help you flourish.” And ends (spoiler!) with a challenging goal, PERMA 51: the commitment to facilitate flourishing in 51% of the people of the world by year 2051. In between, you get an inspiring overview of what Positive Psychology has accomplished, and how. According to Martin Seligman’s research, these are the permanent building blocks for a life of profound fulfillment. “It would be unfair not to praise some of the good work Seligman highlights in Flourish. He draws attention to poor evidence for the benefits of psychiatric drugs and also suggests some behavioural changes and strategies that, if used wisely, can be very helpful, such as learning to respond more actively and constructively to what friends, family and colleagues say”. His writing reflects his brilliance in clear and understandable terms. 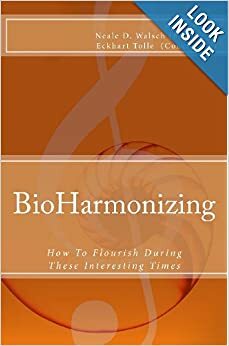 Martin Seligman continues to have a powerful, positive effect on individuals and societies, and I believe that Flourish will have a powerful, positive effect on you. “Brilliant, beautiful, useful, and true. How many books can you say that about? Well, you can say it for sure about Flourish. Written by a master of research as well as a thoroughly joyful man, Flourish will allow you to flourish if you simply read the book and follow its sane, sage, ground-breaking advice”. In his new book, he sets out to expand the concepts outlined in his 2002 book Authentic Happiness. The earlier book described happiness as a combination of positive emotions, “flow,” and meaning. In his new book, Seligman adds two more elements he considers critical: accomplishment and personal relationships. Together, these elements add up to well-being. Mix in some some self-esteem, resilience, and optimism, and you get flourishing. Maia Szalavitz: You are one of the founders of “positive psychology” and yet you say in your new book that focusing solely on the positive emotion of happiness as a foundation for a good life isn’t enough. What do you mean? I argue that happiness is only one of five [free motivations]: we also do things for meaning and purpose, even if that brings no happiness. I’ve met people who said that Mother Teresa was a miserable cuss — she did her work even if it brought no smiles and satisfaction. Another [motivation] is engagement — that’s the [experience] of being totally engaged in what you’re doing, which blocks out all other feeling and thinking. We also want relationships, even if they bring none of the other experiences. And, finally kicking and screaming, I got dragged into [accepting that the last one] is winning or accomplishment. [We abbreviate it as PERMA.] P is positive emotion, E is engagement, R is relationships, M is meaning and A is accomplishment. Those are the five elements of what free people chose to do. Pretty much everything else is in service of one of or more of these goals. That’s the human dashboard. Maia Szalavitz: So what can we do to get more PERMA? Martin Seligman: If you have people recognize the catastrophic thoughts that [arise] when they encounter a situation they don’t like, and [give them ways to] realistically argue against them, you can systematically move pessimism into optimism. With long-term follow-up, we see that doing so prevents depression. It’s very much like cognitive therapy. I think the mechanism of action seems to be changing hopelessness into hope, teaching people to recognize their most catastrophic thoughts and realistically argue against them. If you have people every night write down three things that went well that day [and examine why], six months later people have [more happiness and less depression]. There are now about 12 to 18 exercises in the PERMA literature that are documented to increase [flourishing]. It’s important that you actually do these exercises, [rather than just think about doing them]. Some of the exercises are cognitive, like thinking about three things that went well today. Others are more about doing, things like actually making a “gratitude visit” [seeking out and thanking people for what they’ve done in your life] or being active and constructive with people you love. It’s not just head stuff, it’s also action.